There are quite a few Family Dollar stores in my area. I hadn’t been to one in quite a few years, so when the opportunity to review their summer products came along I thought it was the perfect way to re-introduce myself to the store – and going back really opened my eyes to the wonderful assortment of quality products at great prices that Family Dollar offers! I received a $15 gift card to use at my local Family Dollar. Armed with the gift card, and my oldest son, I set out to find some fun summer essentials for my family. I was surprised at the assortment of summer products I found at my store – everything from sun block lotion, kids sunglasses, beach chairs, summer decorations, and even summer clothing. The prices were so low – I couldn’t believe I have been missing out on these deals all these years! As my son and I perused the aisles, we came across a few items that were must-buys. 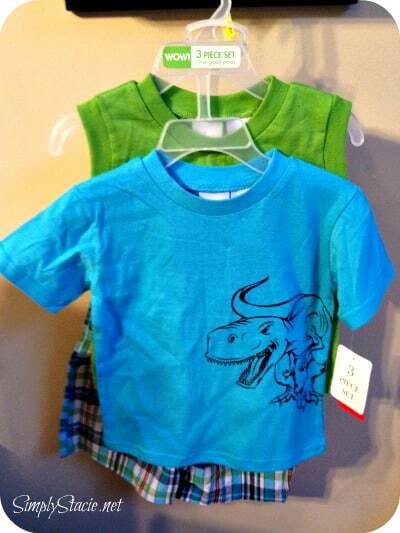 The first was a 3-piece summer outfit for my younger son Noah. Two short sleeve shirts and a pair of shorts, 100% cotton, for only $8! Lightweight and an easy fit, I’m going to wash it and store it in my diaper bag as a back-up outfit (essential in any season!). 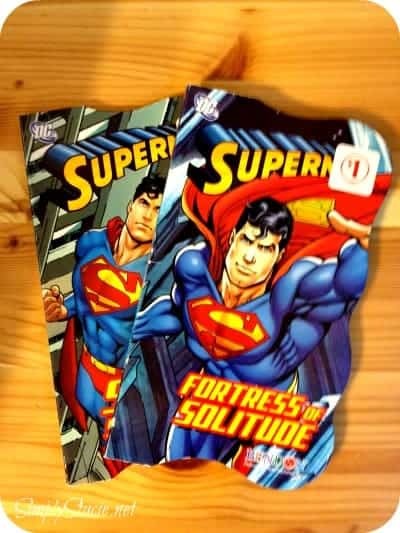 The second item we picked up was for my older son who is very into super heroes these days. 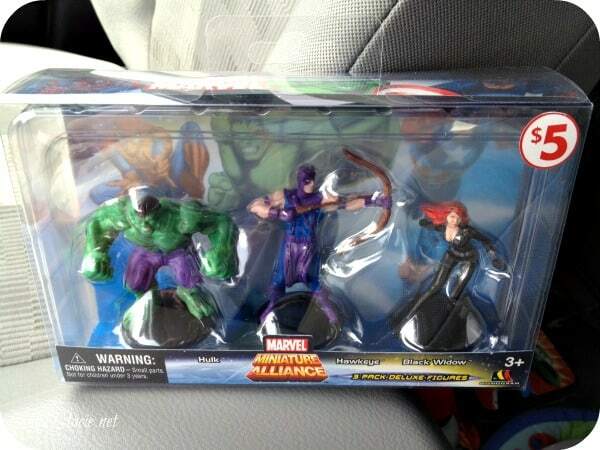 We came across The Avengers figures that we couldn’t pass up. A 3-pack of figures was only $5 – you won’t find that price anywhere else. While most people wouldn’t consider them “summer essentials”, we certainly couldn’t leave the store without them! Another great steal we scored were $1 board books. I like to keep board books in the car – they are great for those long summer trips and overnight stays (you never have to worry about packing a bedtime book!). Family Dollar’s line of summer essentials is a one-stop shop for all your seasonal needs. You can pick up items for your pool, items for grilling, summer clothing and sun protection. While you’re there, check out their drug store brand health items, and their grocery products. You can check out their weekly ads and print out coupons right from their website. To find out more about Family Dollar, and to find a store near you, visit their website. Disclosure: I was not financially compensated for this post. I received a $15 gift card from Family Dollar to facilitate my review. The opinions are my own, based on my personal experience with the product. Lay’s Potato Chips Are Now Certified Gluten-Free! Learned that they are having a sweepstakes for a 42″ TV right now. I found low priced pool tools. I will have to go there! I love there selection and prices for summer/pool toys and tools. I’d like to have the 103″x69″x20 family pool. I love that they now carry Pepsi products! I like that they carry Pepsi products now!! I learned that Family Dollar has recipes on their website – Did not know that! They have new lower milk prices! I like that they have the 6-8 pks of candy (Reese’s, Snickers, etc) for $1, usually. I loved they have a sweepstakes link. I like the fact that they now carry Pepsi products. They have a wide selection of bath/beauty products! I like that they have a coupon posted for $1 off Dove Men’s Body Wash. They are now carrying Pepsi products and lowered milk prices. I see they now carry Pepsi products! I love that they carry Pepsi products. I love the laundry products such as Tide. I learned that their prices are still low!! I learned they have men’s polos for only $8. I learned that Family Dollar accepts coupons in most stores. I learned & like they have a recipe section & a chance to win a 42″ Panasonic TV! I learned that they now carry Pepsi products. I learned that in November 1959 Leon Levine opened the first Family Dollar store in Charlotte, North Carolina.